A popular look has a new addition with a smaller 6" shade in Textured Architectural Bronze. 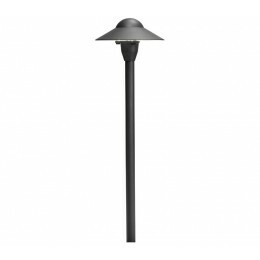 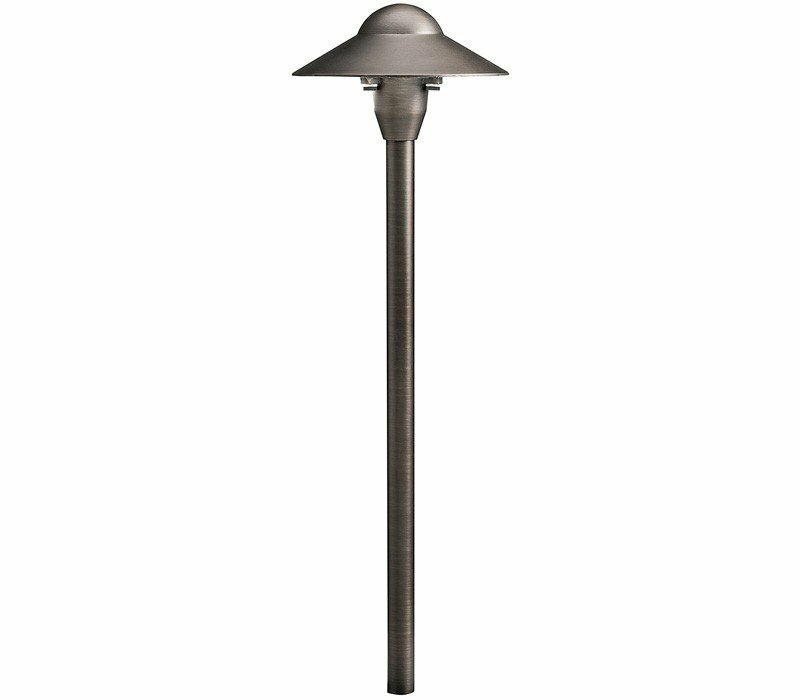 The Kichler 15470AZT Landscape 12 Volt Lighting collection Landscape Path Lighting in Textured Architectural Bronze uses Halogen light output and brings Modern style. This item is 21"H x 6"W. The total wattage is 16.25 and the voltage is 12 volts. 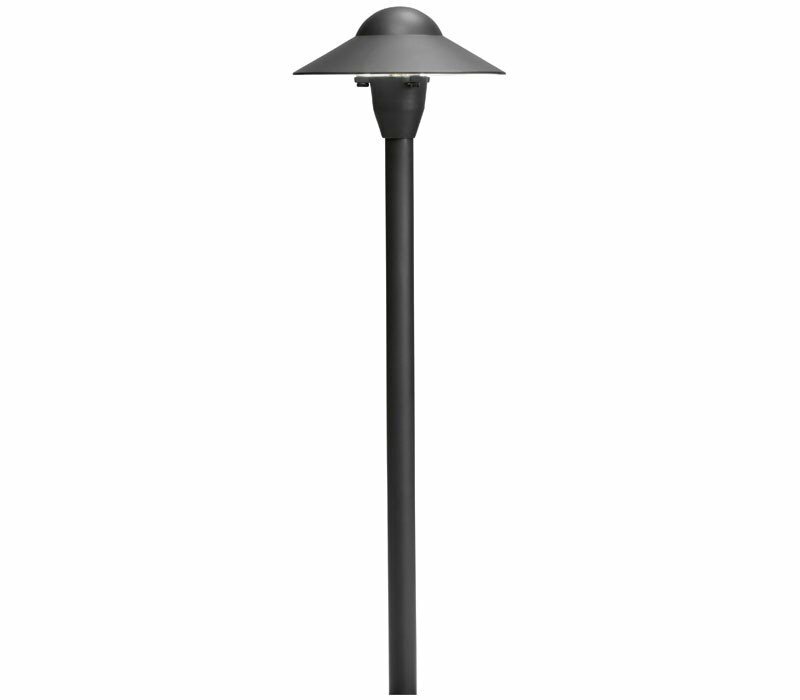 The Kichler Lighting 15470AZT requires 1 bulb (not included). 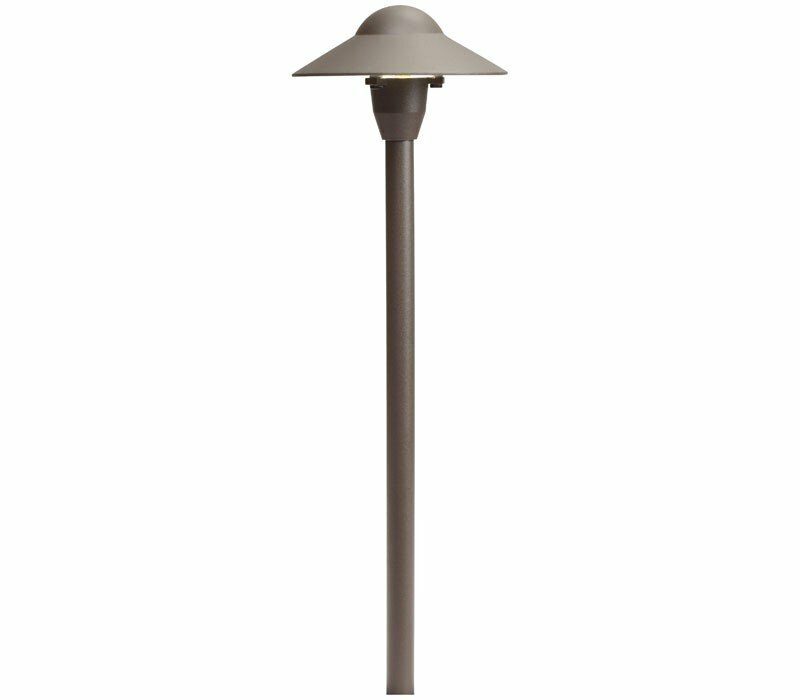 Additional Information: Shade-Metal; Accessory-24" of usable #18-2, SPT-1-W leads and cable connector.